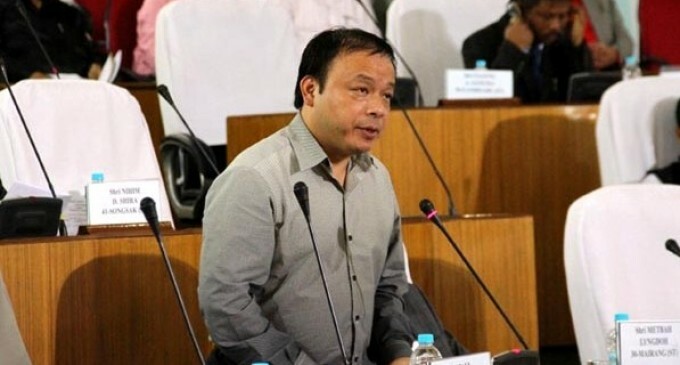 The three-day Winter Session of the ninth Meghalaya Assembly that began in Shillong to have a slew of demands raised by the Opposition on Wednesday. Opposition legislator from West Shillong constituency and leader of United Democratic Party (UDP), Paul Lyngdoh will move a motion in the House to discuss the need to extend financial benefits to school teachers, casual employees, daily wage earners and the disadvantaged sections like widows and the infirm in sync with the pay hike announced to State Government employees as per the recommendations of the fifth Meghalaya Pay Commission. Another opposition MLA from Nongkrem constituency, Ardent Miller Basaiawmoit and others are likely to join the discussion. The three-day session, also the last and final sitting of the current ninth Assembly before going to the next year’s Assembly polls will conclude on Thursday. The government had already tabled as many as five amendment bills likely to be passed on Thursday. On December 8, the first day of the session, there was only government business. Another opposition legislator from UDP, Jemino Mawthoh while joining Paul Lyngdoh, in taking up the special motion on implementation of the Fifth Pay Commission, said, “Though we hail the decision of the Government to implement the Fifth Pay Commission for government employees, we will raise that there are other categories of employees like teachers, contractual employees, daily wage earners who are also in need of benefits”. Other issues like anomalies in the recruitment of SF-10 candidates, problems in the power sector, registration of land in border areas and GST rollout in the state will also be raised. Wednesday is the only day for private members’ business. The third day (Thursday) will again see government business.